The award-winning film biographer presents a deeply-textured, ambitious, and definitive portrait of the greatest movie actor of the twentieth century, the elusive Marlon Brando, bringing his extraordinarily complex life into view as never before. 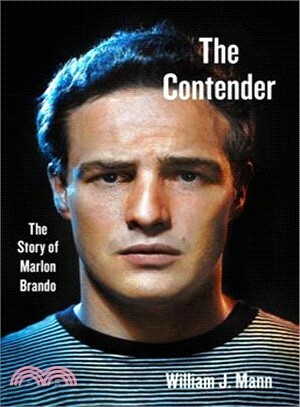 The most influential movie actor of his era, Marlon Brando changed the way other actors perceived their craft. His approach was natural, honest, and deeply personal, resulting in performances—most notably in A Streetcar Named Desire and On the Waterfront—that are without parallel. Brando was heralded as the American Hamlet—the Yank who surpassed British stage royalty Laurence Olivier, John Gielgud, and Ralph Richardson as the standard of greatness in the mid-twentieth century. Brando’s impact on American culture matches his professional significance; he both challenged and codified our ideas of masculinity and sexuality. Brando was also one of the first stars to use his fame as a platform to address social, political, and moral issues, courageously calling out America’s deeply rooted racism. William Mann’s brilliant biography of the Hollywood legend illuminates this culture icon for a new age. Mann astutely argues that Brando was not only a great actor but also a cultural soothsayer, a Cassandra warning us about the challenges to come. Brando’s admonitions against the monetization of nearly every aspect of the culture were prescient. His public protests against racial segregation and discrimination at the height of the Civil Rights movement—getting himself arrested at least once—were criticized as being needlessly provocative. Yet those actions of fifty years ago have become a model many actors follow today. Psychologically astute and masterfully researched, based on new and revelatory material, The Contender explores the star and the man in full, including the childhood traumas that reverberated through his professional and personal life. It is a dazzling biography of our nation’s greatest actor that is sure to become an instant classic. The Contender includes sixteen pages of photographs.